Your Email Security account can cover many different email mailboxes, at multiple domains. To see the mailboxes currently being managed by Email Security, visit your USS Dashboard and click Products ⟶ E-mail Security ⟶ Mailboxes. Your mailboxes are listed. To edit the details of any mailbox, just double-click it in the list. The email address to track. The real name associated with this email address. This is optional, but if you set a real name for an email address, Email Security will automatically generate a number of variants of this name which will also be tracked (for instance, Rob Smith for a user named Robert Smith). This can help to ensure that email to this user is correctly captured by Message Rules. Enable this checkbox if the user should be considered a company executive for the purpose of the Executive Tracking Condition. You can activate executive tracking for specific Active Directory groups on the Group Management screen. Click the Manage Variants button to manually add variants to the user's real name that should also be tracked. 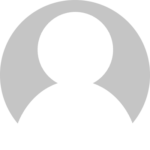 For example, adding the variant Gosia Foremniak to user named Małgorzata Foremniak. To add or remove users from specific AD groups, use the button. You can add the user to a group by click the Add Group Membership button, or remove the user from a group by clicking . To delete a mailbox from Email Security, select it and click . Deleting a mailbox will not delete the mailbox or its emails from your server, but will stop the mailbox from being tracked and managed by Email Security. 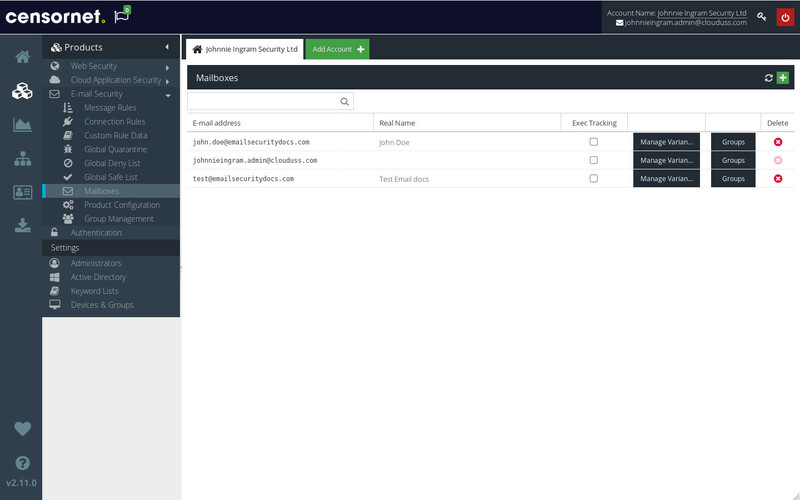 To add a new mailbox for Email Security to track and manage, just click . Enter the email address and an optional real name, and hit Enter. If the user you add is not part of a domain that Email Security is already tracking, the new mailbox will not be created. You can add new domains by visiting Product Configuration.